NEW YORK (WABC) -- February 26, 1993, was a day that changed New York City forever. The city held a solemn commemoration of the 1993 World Trade Center bombing at the 9/11 memorial plaza. The ceremony also included a reading of victims' names and a moment of silence at 12:18 p.m., when the bomb exploded and became a harbinger of more terror at the twin towers eight years later. The bomb, in an underground parking garage, was set by Muslim extremists who sought to punish the U.S. for its Middle East policies, according to federal prosecutors. Afterward, the World Trade Center's operating agency issued an apology, saying the agency and the country were wholly unprepared for an event that became a precursor to 9/11. Six bombing suspects were convicted and are in prison, including accused ringleader Ramzi Yousef, a nephew of self-proclaimed 9/11 mastermind Khalid Sheikh Mohammed. A seventh suspect in the bombing remains at large. 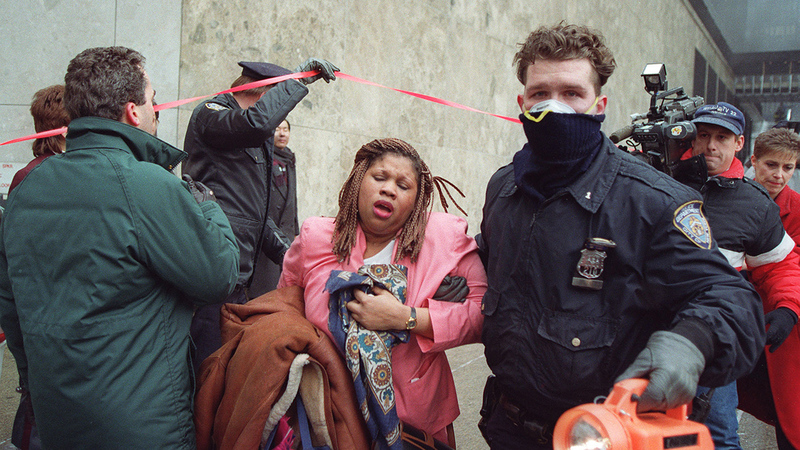 A police officer assists a survivor of the World Trade Center bombing in New York, Feb. 26, 1993. A terrorist bomb killed six people and injured more than 1,000.